I can almost pretty much say, I have a split personality. On one hand, I love minimalism, monochrome, and being boyish and lazy. 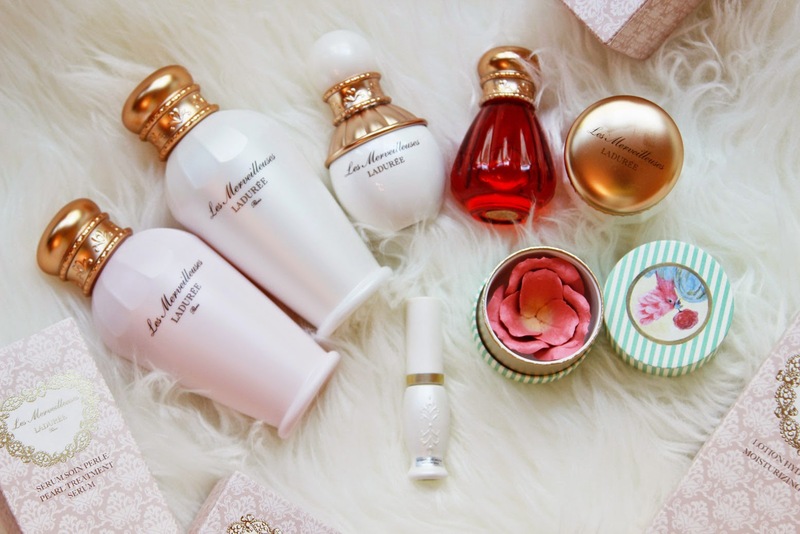 But another side of me gets easily attracted to pink, elegant and princess-y packaging like the next girl. I guess the latter explains my obsession with the Ladurée packaging. 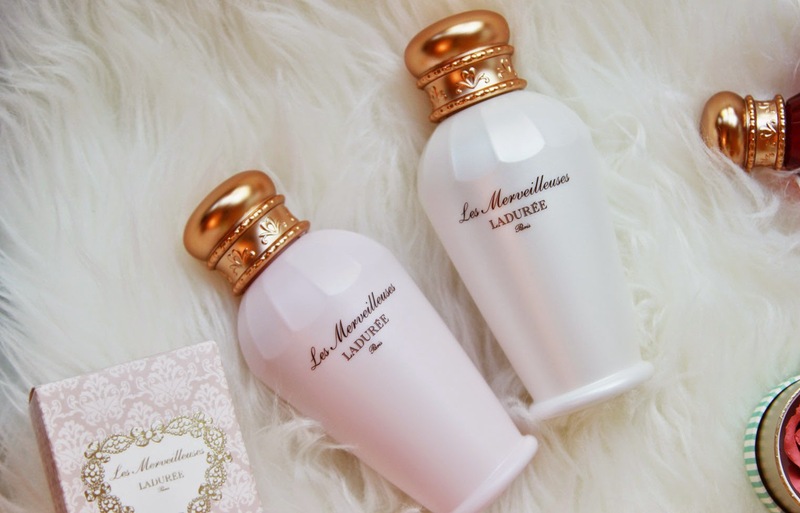 Approximately two years ago, my friend introduced me to the Ladurée beauty line which I never knew existed - who knew that apart from a delicious truffle omelette, sweet rose-flavored milkshakes and its acclaimed nectarous macaroons, Ladurée could also whip up a collection of extravagantly packaged and quality beauty products? 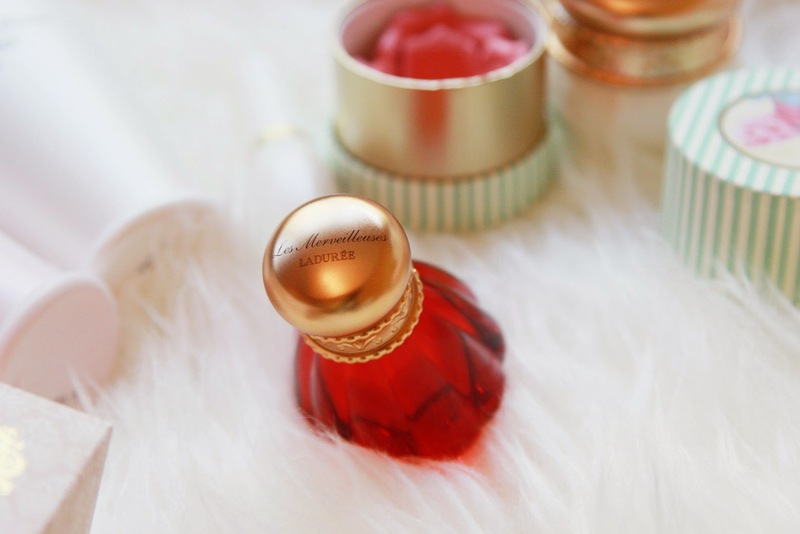 The Facial Water (right) for the day and Moisturizing Lotion (left) for the evening are packaged in beautiful bottles with pink-tinted gold caps. 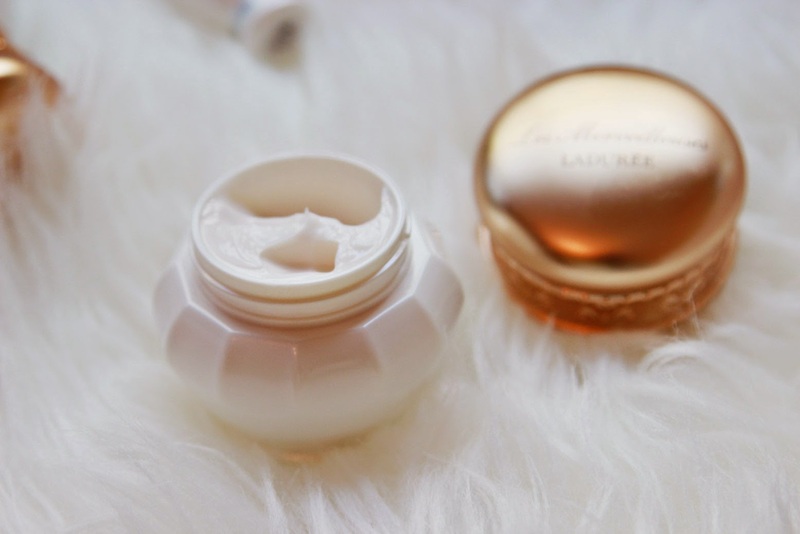 Both have a light, fluid consistency yet leaves skin feeling smooth after application. The Facial Water, I was told, contains Bulgarian Damask rose extract, which is said to be one of the highest quality ingredients in the world, and acts as both anti-oxidant and moisturizer which will penetrate the skin to achieve plumpness. 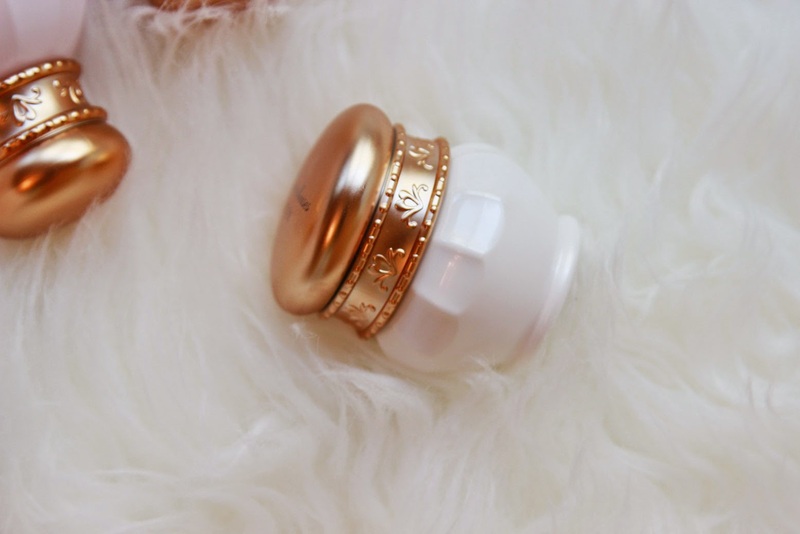 The Moisturizing Lotion is slightly thicker by a fraction - also in a transparent fluid consistency. Both of which have a delightful floral fragrance, probably due to the Damask Rose Extract as well. Despite the strong fragrance, I was surprised it did not break me out or any stimulate any allergic reaction so that was a huge relief. I shall report back on these in a couple more weeks after testing. In terms of packaging, the Treatment Oil has to be my favorite. 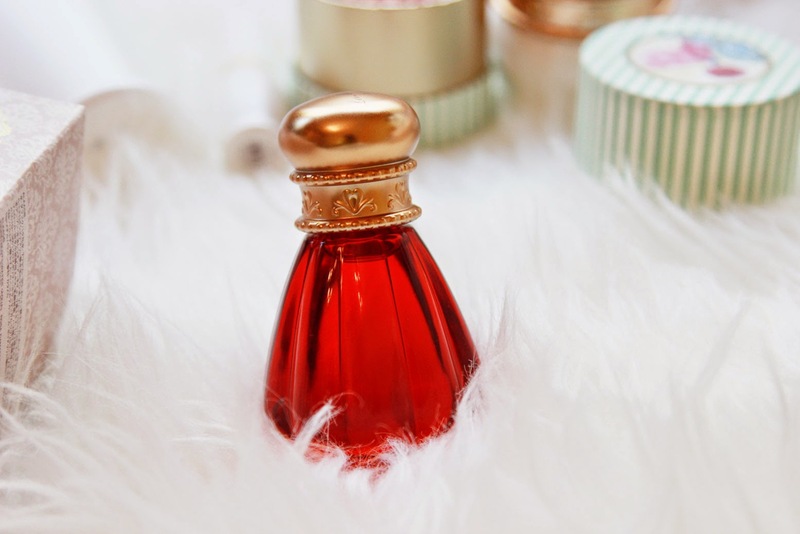 It's potion/elixir-like bottle in a ruby red color definitely stands out from the rest. This Treatment Oil is infused with 10 different herbal oils such as organic olive oil, macadamia nut oil, grapeseed oil and avocado oil to name a few - all of which are anti-oxidants or emolients, and also helps to encourage blood circulation. The benefits are endless. The fragrance is a blend of citrus, herbal and floral - and I love how this does not feel 'slippery-oily' on my skin. Instead it absorbs into the skin nicely, leaving the skin supple and hydrated, but not like I slabbed a bottle of oil on my face. Again, I will report back on the condition of my skin after a few weeks of use. Now that I have completely used up Eminence Stone Crop Serum, I feel empty without a new serum to use, so this definitely came in good time. The Pearl Treatment Serum aims to even out skin tone and refine the complexion, as well as help with the elasticity and firmness of the skin. It includes Pearl Extract, Bilberry leaf extract and Fennel extract with specific ingredients targeting stimulating hyaluronic acid production for hydration, and collagen production for elasticity. It is a nice liquid consistency, not too thick but feels hydrating and blends out really nicely on the skin. Lets see if there is any difference after a few weeks! Last but not least from the skincare range is the Treatment Face Cream which also contains Bulgarian Damask Rose Extract. An enriching face cream with beneficial herbal oils, this cream is also said to stimulate collagen production and has anti-aging properties. I have used this twice and can report that I feel my skin smoother the next morning. We shall see in a couple more weeks how this goes. Moving on to the beauty products, I was sent a Lip Lacquer and a blush to try. 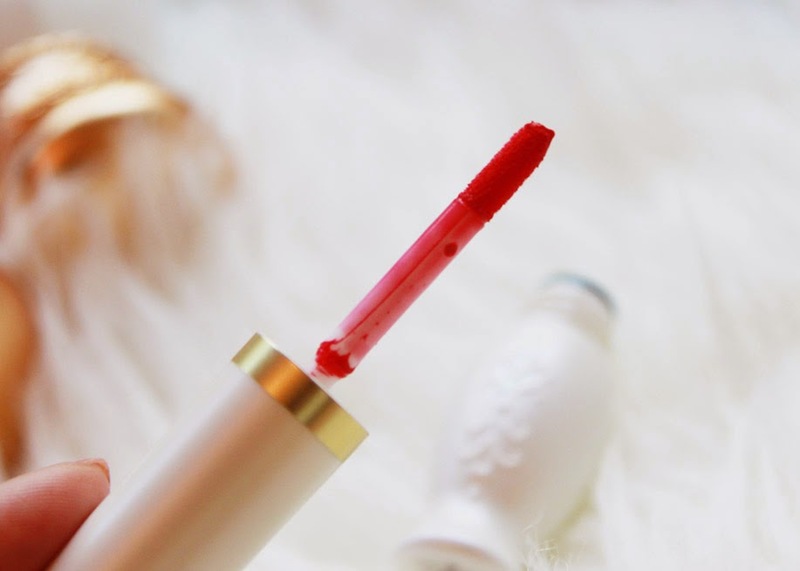 The lipstain also comes in a princessy white packaging, and comes with a doe-foot applicator. The shade that I got is 02 which is a beautiful fuschia color. 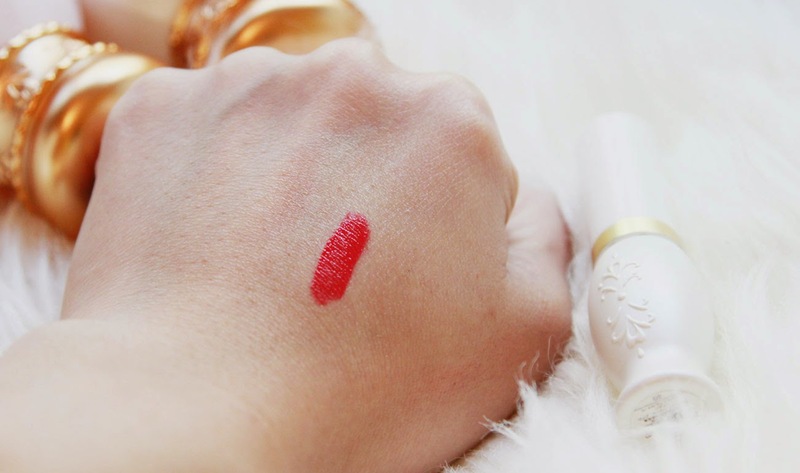 The beauty of this is that you can either apply a little and blend it out with fingers (top image) or go all out and get a rich pigmentation on the lips, producing a bold pink look. I love both looks - one for the day and one for the evening and that's your Day to Night lips done! 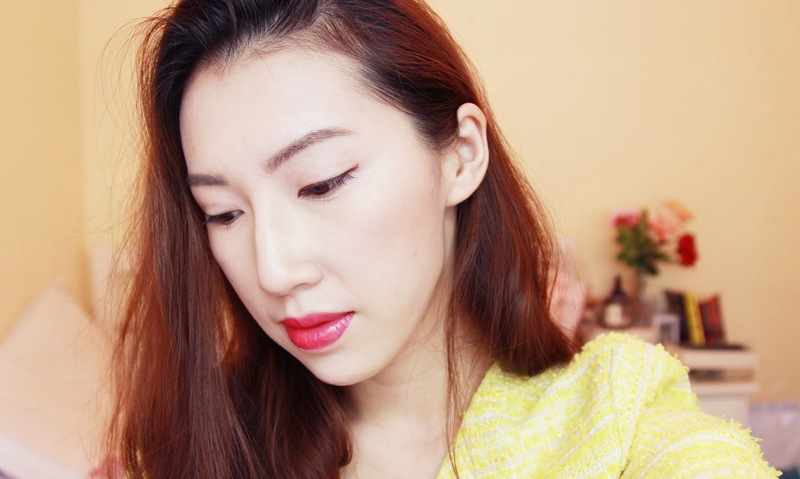 I am obsessed with the formula - it produces a nice slight gloss to the lips but not overly sticky, patchy or creamy. The consistency is just right, pigmentation is opaque, and so far my lips are still not drying out - despite the fact they have been super chapped due to the change in weather. This already has a big thumbs up from me, and I'd choose it over the YSL Glossy Stains any day. 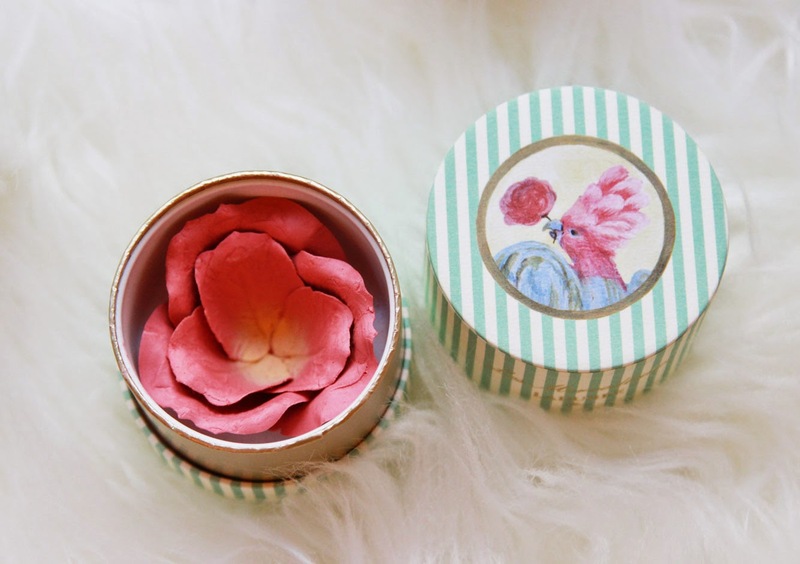 The Face Color Rose Ladurée in 02 gives the complexion a natural flush of pink. You would think that as it came in an unusual petal form, you'd have to swirl your brush many times to get any hint of pigmentation but no. One swirl and the amount I picked up on my Real Techniques Blush Brush was just the way I like it - natural, subtle - but flushed. This is a shade that I already own beforehand, but never really used (as everytime I tried, I ended up staring and not using), but now that I've given it a go I'll definitely be coming back to it. 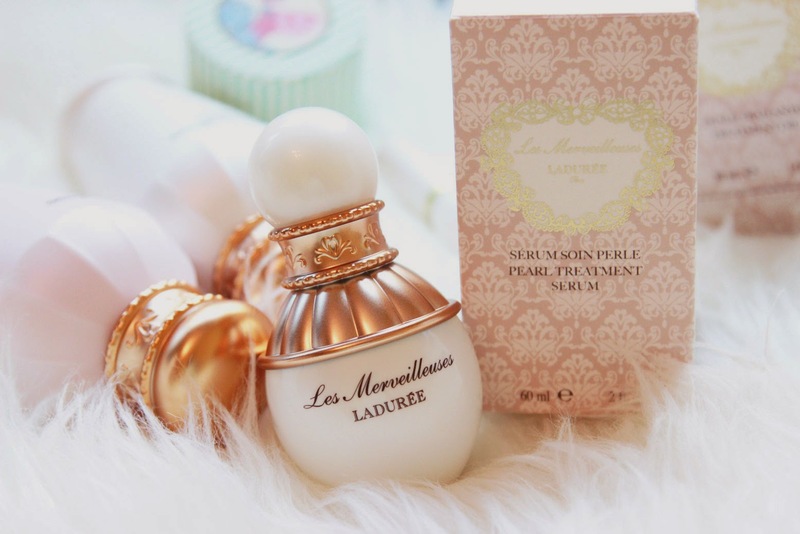 What do you think of the Ladurée products? Are you as mesmerized by the packaging as I am? They would probably win Best Packaging Award if there was one! I will be coming back with a more thorough update on the skincare products! YouTube | Facebook | Twitter | Instagram | Bloglovin' Disclaimer: The products were sent to me for review. This post is not sponsored. All opinions are my own.